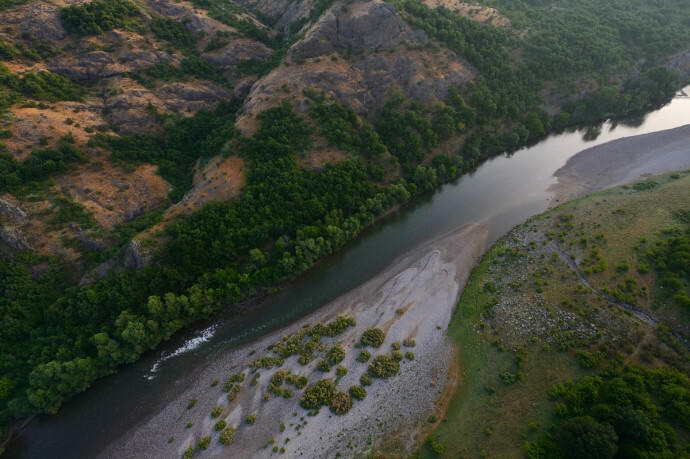 Over the Arda river canyon, Madzharovo, Eastern Rhodope mountains, Bulgaria. 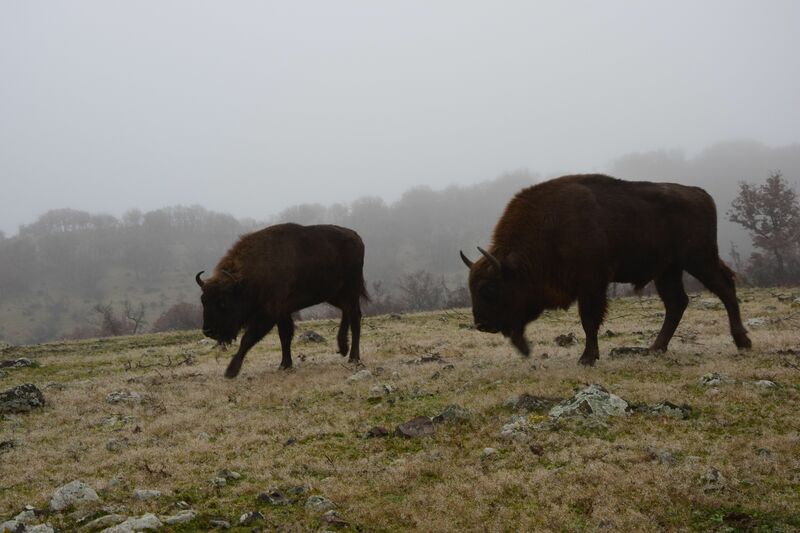 European bison in Studen Kladenets reserve, Eastern Rhodopes. Me and my three colleagues who work for rewilding in this area – Hristo, Desi and Stanislav and their dog Shisho – are living in village of Nanovitsa. People here are friendly and relaxed. It‘s a pity that I don‘t speak Bulgarian or Turkish (which is very common here) and I can‘t communicate with locals. Anyway, most of them friendly response to my „zdravejte!“ (hello) and try to speak with me. What more I really like about the people here, they always seem willing to help you. Every time I go for a walk, drivers just stop and suggest to give me a lift. One day it was raining quite heavily, so a guy, who was going the opposite direction, just turned around to take me back home! 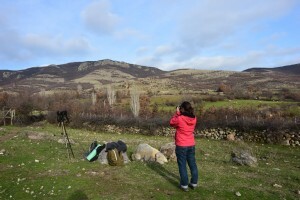 Counting griffon vultures in the Eastern Rhodopes, Bulgaria. The counting day in the Rhodopes was a sunny and warm Saturday afternoon. We had 17 teams, formed mostly from two people. Most volunteers were young students of biology or ecology. They all love nature, enjoy being there and helping to deal with come up problems. 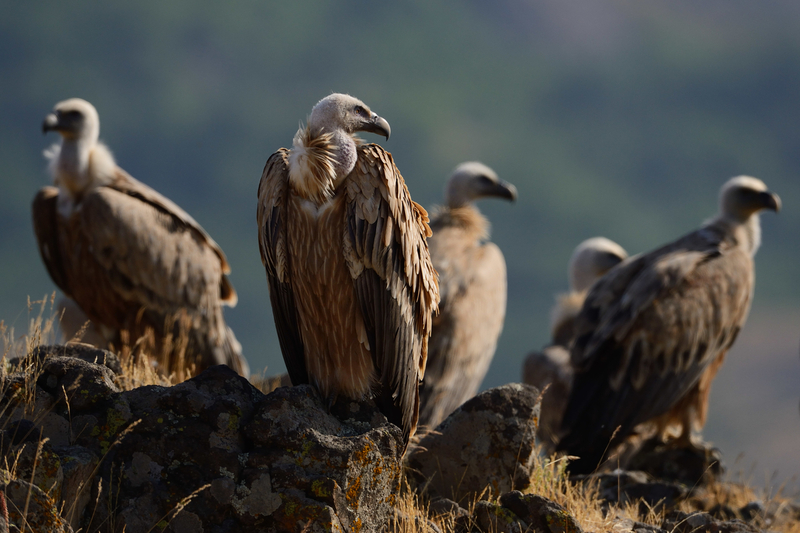 Every team was standing in a different spot around the area where vultures live. All the day we were watching how many vultures are hanging around and every team had to make notes: what time how many vultures they saw and which direction the birds were moving. 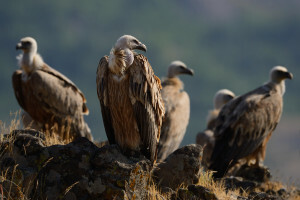 When it was getting dark, the birds prepared to sleep: they landed on the rocks and that was the time when we could count the exact number of vultures. Unfortunately, me and my colleague Sylvia didn’t count any vultures in our spot, only those several that were passing by. 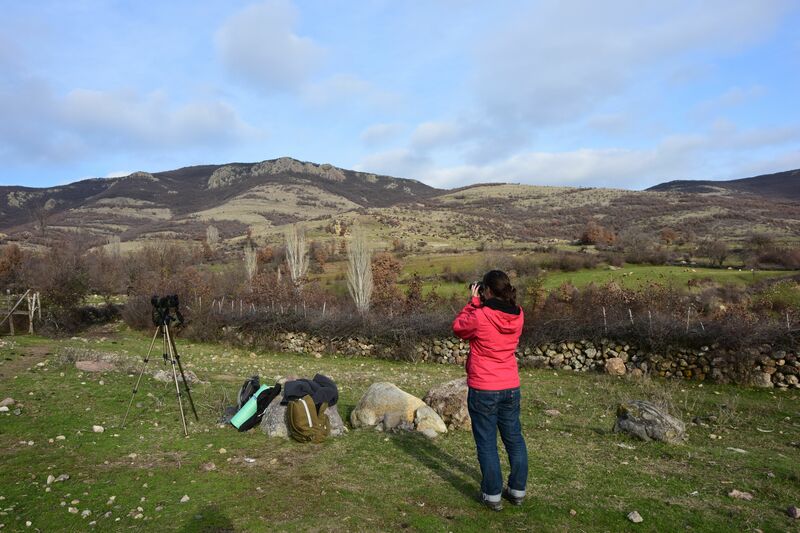 However, for me it was an unforgettable experience: I saw what does it mean to count this kind of birds, also me and Sylvia we were enjoying each others company and lovely surroundings – low but scenic mountains, grazing sheep, cows and donkeys. We attracted a lot of attention from the local people, who were really interested in what we are doing and why we are standing all the day with the telescope and binoculars. One old man even asked weather we had somewhere to stay: „I live nearby, so if you have no shelter, you are very welcome at my home. It‘s not luxurious, but we‘ll find some place for you“ he suggested. 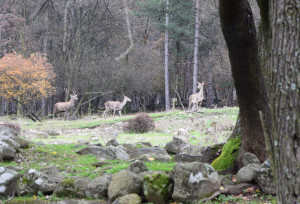 Red deer in Studen Kladenets reserve, Eastern Rhodopes, Bulgaria. 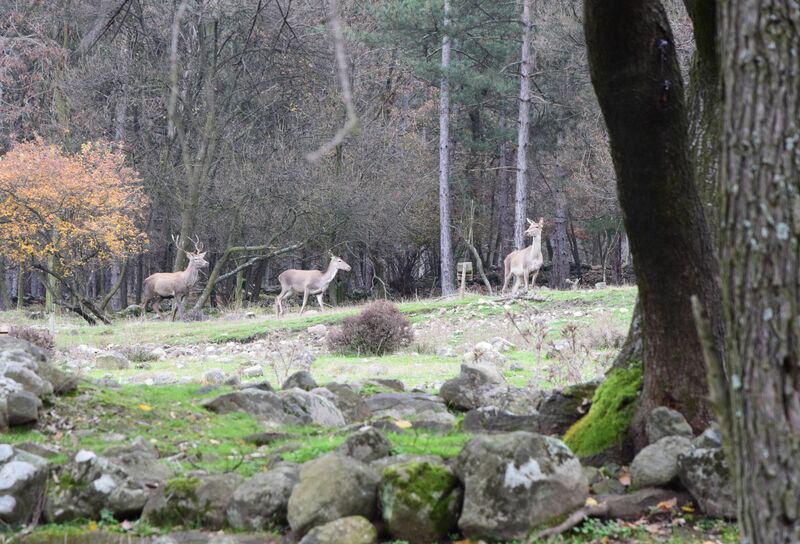 You can be an active part in supporting the rewilding activities in the Rhodope Mountains! Help us to help the susliks to come back in numbers and to re-colonise the lands where they used to live, in the foothills of the Rhodope Mountains of Bulgaria.